Our testers conduct comparative field tests and, based on the real-world results, carefully rate products to tell you which are the best climbing shoes on the market. 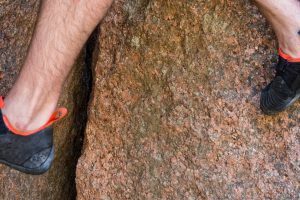 We split our reviews of the best climbing shoes into Aggressive and Moderate categories; aggressive shoes cater to steeper and more difficult routes or boulders and have more downturn, asymmetry, and performance oriented fits. Moderate climbing shoes can target beginner climbers, have more relaxed lasts and fits, and can be better suited to crack climbing. 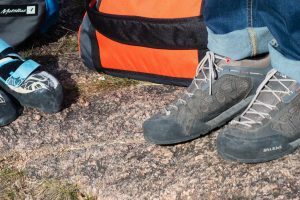 We also review Approach Shoes which are specifically designed for getting the climber from the car or camp to the climbing crag. 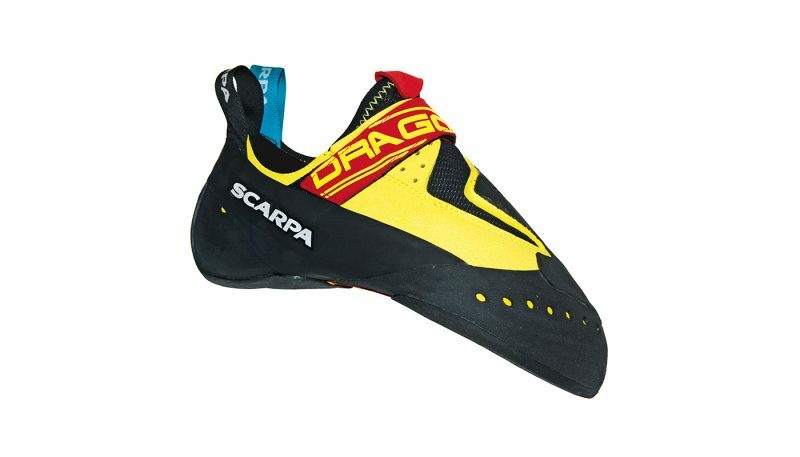 The Scarpa Drago is a specialized weapon in the war against steep sport routes and boulder problems. As the softest shoe in the test category, the Drago is sensitive and holds the foot and toes in a powerful position for the pulling associated with the steepest stone. Toe hooking was also excellent, and the shoes also hold the top spot for pockets. Being so soft, they aren’t destined for routes dependent on edging, nor are they designed for cracks. 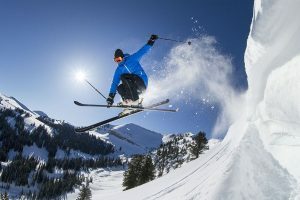 The high performance on the steeps is also matched with a steep price though, at an MSRP of $200, they are the most expensive shoes in the test category. 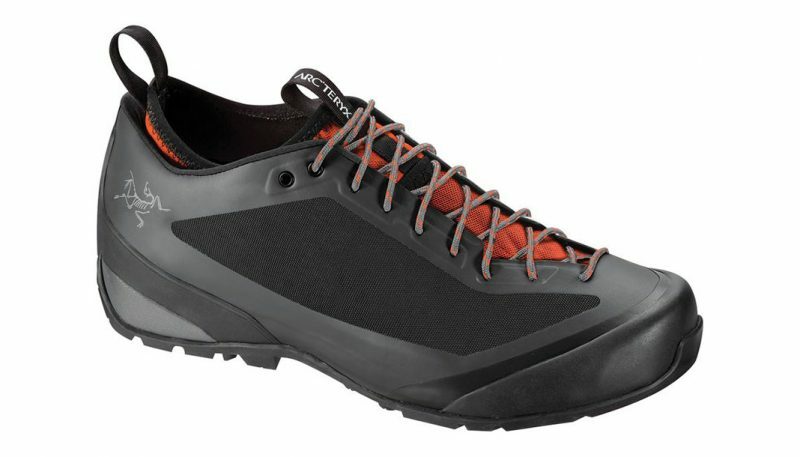 The Butora Narsha is a well-engineered shoe for slightly overhanging sport climbs where small edges define the route. Easily the best edging shoe of the bunch, it also combines width options, formidable toe and heel hooking and impressively sticky rubber to make it the top choice in specific climbing areas. The “NFS” closure is also a big plus, allowing adjustability of the amount of tension on the big toe from super tight and precise to more comfort for longer routes, and the availability of different widths/volumes for most models of shoes is unique. 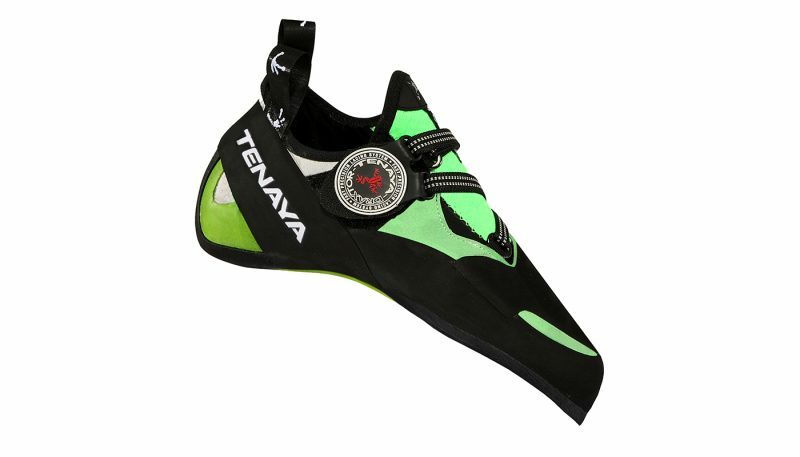 The Tenaya Mundaka is an excellent all-around sport climbing shoe with a snug fit with the best closure system of the testing category. 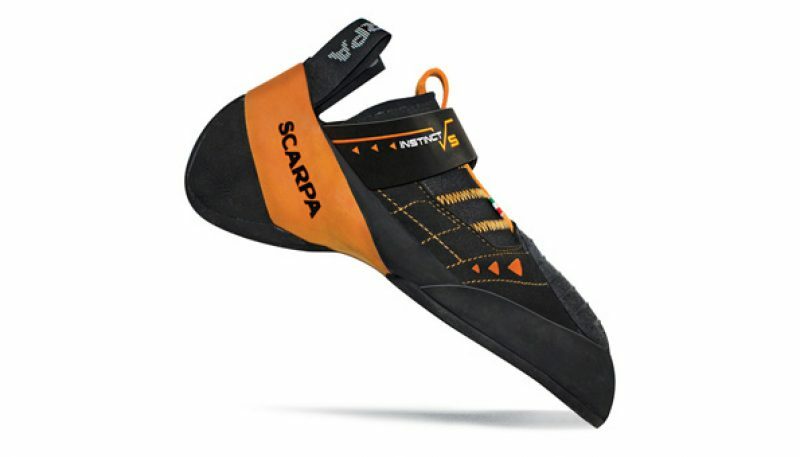 This shoe is a great choice for days at the sport crag when the agenda is unknown. The comfort level is also high, particularly for climbers with narrower feet, a bonus when the routes are full length. The only weakness is the lower amount of adhesion to smooth surfaces such as polished limestone when compared to others in the test. Selecting climbing shoes is a very personal choice. As the interface between you and the rock, your shoe choice can have a wide-ranging effect on your climbing ability and experience. Most people eventually learn that some brands fit their feet better than others, and will only buy shoes from that company. Other climbers have fierce opinions as to which type of rubber is the stickiest. If you have found a shoe that works for you, then keep wearing that model. Here we offer a guide for those who are unsure about which shoe to buy and explain why they would want one style of shoe versus another. We simplified your choices into a five step process, so read through the steps and consider what is most important to you and your climbing as you go. Then refer to our reviews to find the specific products that we think are the very best. The single most important decision when it comes to purchasing shoes for climbing is the degree of downturn. This is directly related to the style of climbing that you do most often. Downturn in a shoe is typically the inverse of comfort, meaning the more downturn, the higher the precision and performance, but the less comfortable they are. Likewise, the less downturn and flatter the shoe, the more comfortable and less precise it will be. That being said, there is a time and place for each style of shoe. Many climbers own more than one pair so that they can have the correct shoe for different applications. We have divided our reviews into three general categories. 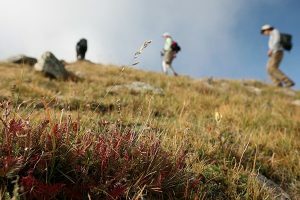 Below we discuss the attributes of these three groups as well as the types of climbing each style of shoe is best for. Low downturn shoes can also be called comfort climbing shoes, or neutral shoes. These shoes have sticky rubber just like the rest, but are flat so that your toes can rest in a natural, uncurled position. If you size them on the larger side, they are comfortable for longer periods of time. Low downturn models are often best for beginners because they are less painful and can more easily introduce people to the prospect of balancing on tiny edges with just your toes. Also, the flat design of shoes such as the Five Ten Moccasym or the Evolv Addict makes these shoes ideal for crack climbing. When you stick your foot into a crack and twist, if your toes are curled it can be excruciating. The neutral fit allows your foot to twist and jam into cracks of different sizes comfortably, or at least as comfortably as foot-jamming can be. The other best use of a low downturn shoe is for long or full-day multi-pitch climbs, when you will be wearing your shoes for long periods of time. Stuffing your feet into tight, aggressive footwear for hours on end is not a fun experience, so by choosing a more neutral shoe, you can happily keep climbing all day. 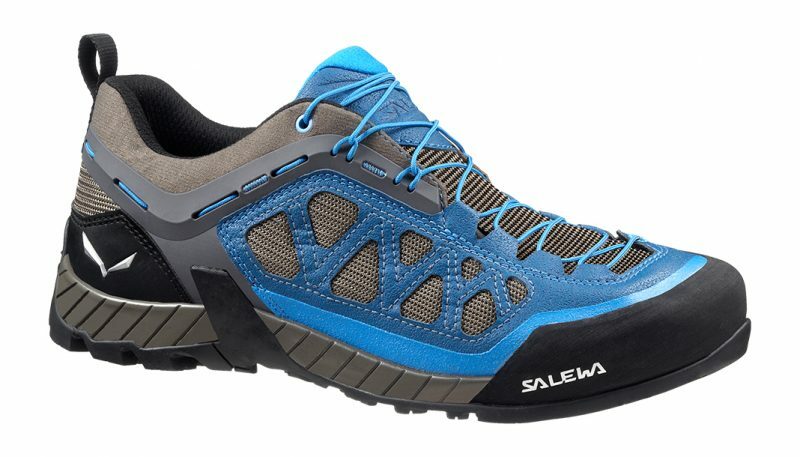 Shoes such as the Scarpa Techno X have a low downturn last, but still manage to provide high performance on edges and cracks, which makes them excellent multi-pitch shoes. Check out our review to see which low downturn shoes scored the highest. Moderately downturned shoes, falling into the middle of the spectrum, are all-purpose, all-around shoes that can be worn for a variety of styles of climbing. They have a slight curve to the last, providing more power and precision than flat, low downturn shoes, but they are more comfortable than aggressive shoes. This style of shoe probably excels the most at vertical face climbing, but some climbers use moderately downturned shoes for cracks and multi-pitch climbs (usually sized a little large) and other climbers use them on steep, difficult projects (probably sized tighter). Shoes like the La Sportiva Miura and the La Sportiva Katana Lace can seemingly do whatever you want them to do, on any kind of stone. 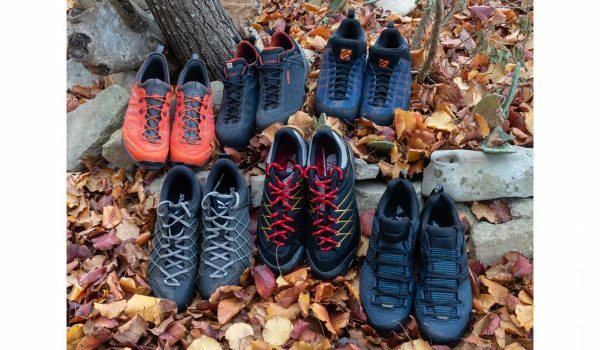 Most climbers will want at least one moderate, all-purpose shoe in their quiver, and there are certainly high-quality models on the market with only some downturn. You can choose to size these shoes tighter for more precision or looser for more comfort. Read our reviews to see which all-around moderate downturn shoes are our favorites. Aggressively downturned shoes are sometimes referred to as performance shoes. Whether you are on pocketed limestone, juggy overhanging sandstone, or techy granite, these models are specialized tools to help you send your steep projects. Aggressive shoes are the type that you put on while climbing, and immediately take off in between tries. They are dramatically curved and provide a lot of heel tension to arrange your foot in a position of power. They are also often asymmetrically shaped, curving toward the big toe to focus your balance and power towards that single strong point. 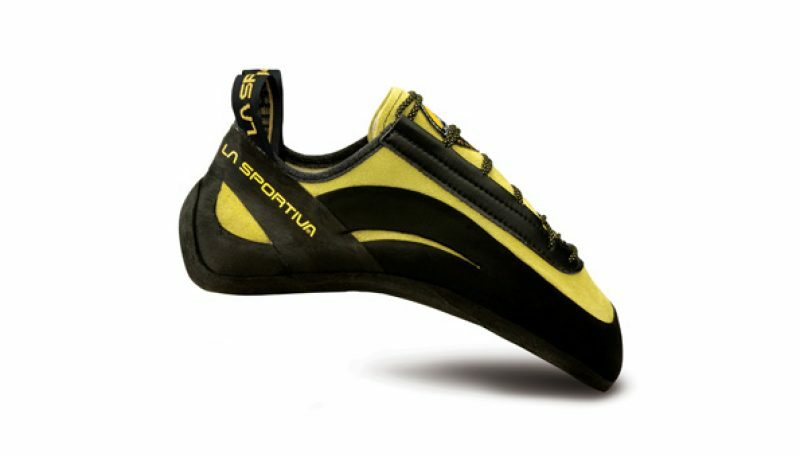 Aggressive shoes like the La Sportiva Solution and the Scarpa Furia help with precise placements on small edges, hooking your toe into overhanging pockets, and pushing really hard on non-existent smears. 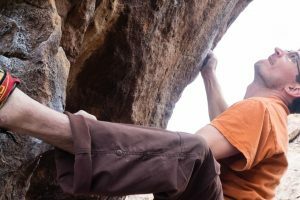 Aggressive shoes are best for bouldering, sport climbing, and gym climbing, and won’t be very comfortable for crack climbing or days spent multi-pitching. These shoes are usually sized snug, and often are worn a couple sizes smaller than your street shoe size. See which aggressive shoes were our favorites in our comparative test. Each brand uses its own kind of rubber, and typically each brand has several different compounds that they use on different models. There are wide-ranging and passionate opinions about which rubber is the best, so we won’t go into that here. But there are some rubber characteristics that are worth considering. The stickiness of climbing shoe rubber is inversely related to its durability. This means that the stickier and grippier the shoe feels, the quicker the rubber will wear out. Likewise, the thicker and tougher the rubber, the longer the shoes will last although they won’t stick to the rock as well. Often shoes designed with beginners in mind will be made with harder, more durable rubber so that they can survive the inevitable toe-dragging. Softer rubber can be better at smearing while firmer rubber excels at edging. The same formula applies to rubber thickness. Shoes with 4-5 mm of rubber will be edging masters and can handle more use and abrasion than shoes with thinner rubber, but the thickness may make it more difficult for you to feel tiny features. Shoes with 3-4 mm of rubber will feel more sensitive but will likely need a resole sooner. The other features of a climbing shoe are less important than shape and fit. However, it is worth noting the different options available to you. It may be that a feature such as laces or Velcro closures will be important to you, and then you can narrow your search to models that fit that description. Laces: Shoes with laces allow for the most customizable fit. You can tighten or loosen the laces for comfort or performance, and if you have low volume feet, you can often crank the laces down to remove dead spaces. Laces also give you the ability to tighten just the toe, and leave the ankle somewhat loose. If you plan to do a lot of crack climbing, laces can be a hindrance because they often get shredded and torn inside cracks. 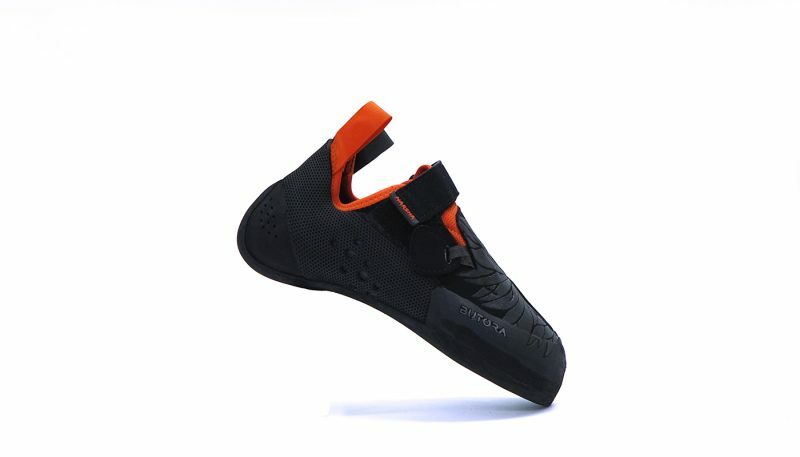 Velcro Straps: Velcro shoes are quicker to get on than lace-ups and are perfect for quick-transition climbing such as bouldering or laps in the gym. 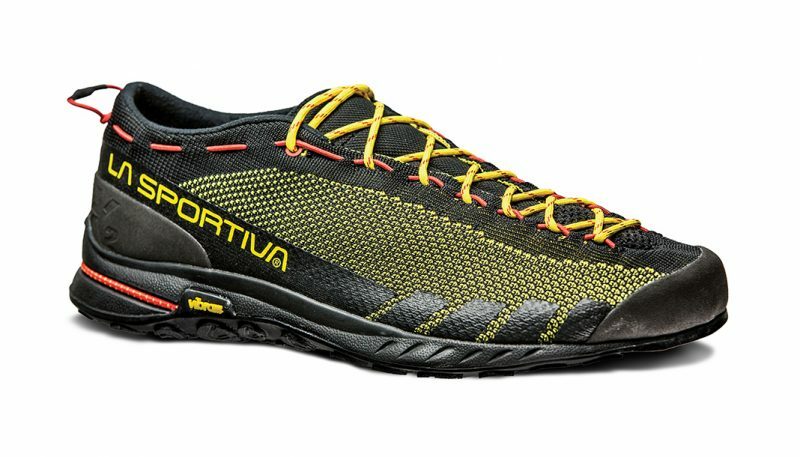 Some brands, like La Sportiva, offer the same model of shoe in a lace and a Velcro version, such as the Katana and Katana Lace and the Miura and the Miura Velcro. In our experience, these shoes have more differences than just the closure system, and feel different in aggressiveness as well. However, it does give you options if you prefer one closure system over another. Slippers: Slippers are quick to get on, low-profile and often very comfortable. They also tend to be softer and more sensitive. Slippers make excellent crack climbing shoes because nothing gets in the way between the upper of the shoe and the crack edge. Unlined Leather: Shoes that are made with a single layer of upper material are unlined leather. This is simpler and less expensive to produce than lined leather. Since these shoes are made of a single layer, the leather can stretch up to a full size with use. Lined Leather: Lined leather shoes have an additional layer on the inside to prevent stretching and thus create a more accurate size. Sometimes only a part of the shoe, like the toebox, will be lined rather than the whole shoe. Lined leather shoes can still stretch up to a half size. Synthetic Material: Synthetic shoes, like most models from Evolv, are the perfect choice for vegans or those who have moral issues with wearing leather. Synthetic materials do not stretch much at all. They do break-in slightly, but they won’t dramatically change in size. After the degree of downturn, the second most important consideration for climbing shoes is fit. In fact, you could only look at those two factors, not considering anything else, and you would end up with a quality shoe. The primary question is: how do I size my shoes? There is a lot of debate about sizing climbing shoes. Some people swear that you should size down at least two sizes from your street shoe size. Others think street shoe size is adequate. Some brands even try to compensate by shrinking the shoes slightly so you can purchase your street shoe size and it will be pre-downsized for you. The main rule of thumb is to select a size that is comfortable enough to climb in. If your toes are bunched too painfully in the end, then you won’t be able to push on them while climbing. You don’t want your shoes to be loose or have any extra space between your toes and the inside of the shoe, but you want your toes to either lay flat or be curled comfortably in the front. The fit should be snug, but not suffocating. Also, look for dead space around the heel and try to find a fit that hugs the back of the foot. We highly recommend trying on climbing shoes before you purchase them. A blind online order is not likely to result in the best fit unless you already know the size you wear in that particular shoe. Each brand will fit differently, so when trying on shoes, experiment with a range of sizes in each brand until you find a fit that works. As we mentioned above, different styles of shoes are typically sized differently. Low downturn shoes can be worn larger, while aggressive shoes are worn tighter. Remember that if your toes are curved at least a little, it will give you more precision and power. If you have low-volume feet, which many women do, then women’s specific shoes may offer a better fit. Women’s models usually have a smaller heel cup, a lower-volume forefoot, and a lower cut around the ankle. This fit will result in less dead space for low-volume feet. In the case of the La Sportiva Women’s Miura, there is an extra layer of padding around the ankle, which is not only more comfortable but holds the foot in place more securely. Men with low-volume feet are even known to purchase women’s models because they fit better. The last thing to keep in mind is stretch. All climbing shoes will break-in as you use them, and usually they become molded to your feet so that by the time you need a resole they feel like a second skin. If you purchase synthetic shoes, or shoes with lined leather, the shoes won’t stretch much. Synthetic shoes hardly stretch at all while lined leather might stretch half a size. However unlined leather can stretch up to a full size. Keep this in mind when purchasing, and consider downsizing your unlined leather shoes an extra size. When it comes to climbing shoes, finding the correct style of shoe and an appropriate fit is always going to trump price. Most brands sell shoes in similar price points, so shopping for cost won’t be very effective. Shop for fit instead. 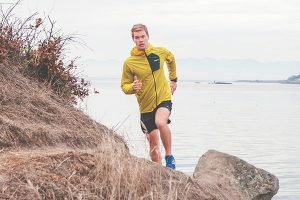 Ending up with a shoe that fits comfortably and enhances your performance is far more important than saving a few dollars. The only exception to this is if you are new to climbing. If you are a beginner, your footwork is probably terrible (don’t worry, that is the case for everyone). You may learn fast, but bad footwork will do hefty damage on the soft rubber of climbing shoes in no time. 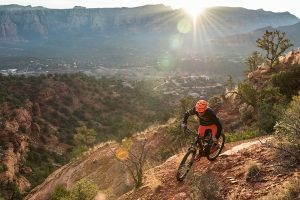 In most gear purchasing scenarios we suggest spending slightly more to get the exact quality product to suit your needs. 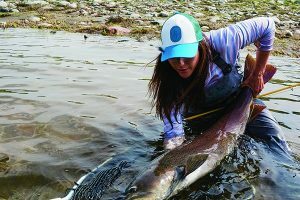 It is usually most cost-effective to spend a little more at first, and then not require a replacement in a year when you become more dedicated to your chosen outdoor sport. However, for a new climber our advice is different: we highly recommend selecting a cheaper shoe at the outset because you will likely wear through it quickly. 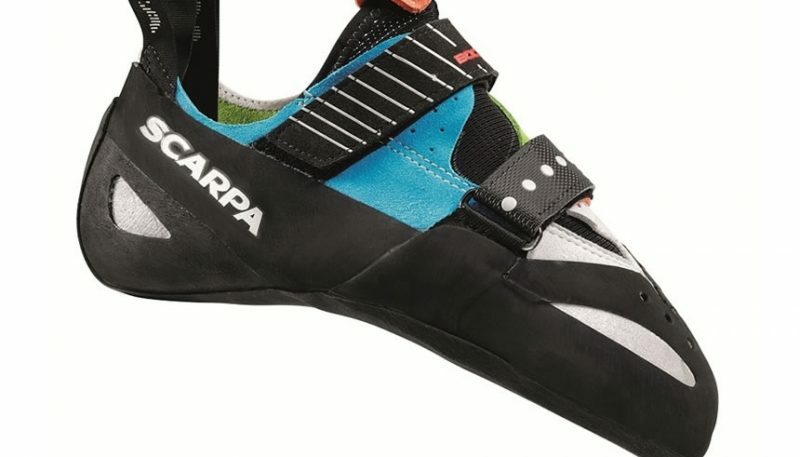 Then once you have developed some technique and have a sense of what kind of climbing you like to do, you can invest in a more expensive, more specialized shoe. 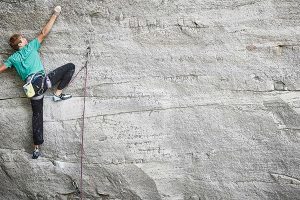 So if you are just starting out, read our reviews of low downturn climbing shoes to find an inexpensive but quality model to introduce you to the sport. If you are more experienced, our reviews should point you to the best shoes for your preferred style of climbing.